Iraqi-American trumpeter Amir ElSaffar put his New York career on hold six years ago to immerse himself in the music of his fathers ancestral past, the Iraqi Maqam. Already an accomplished jazz and classical trumpeter, having performed with esteemed artists such as Cecil Taylor, Rudresh Mahanthappa, Vijay Iyer, and Daniel Barenboim, and having won two international jazz competitions, ElSaffar traveled to Iraq, throughout the Middle East and to Europe, where he pursued masters who could impart to him this centuries-old oral tradition. He quickly became versed in Maqam, and learned to play the santoor (Iraqi hammered dulcimer) and to sing, and he now leads the only ensemble in the US performing Iraqi Maqam, Safaafir. He has also created new techniques for the trumpet that enable microtones and ornaments that are characteristic to Arabic music but are not typically heard on a trumpet. Now, ElSaffar has turned his attention back to jazz, and is approaching it with an Iraqi/Arabic bent. His Two Rivers Suite, which has been described by BBC World as “harrowing to absorb; full of as much beauty as pain,” is an emotionally charged work that invokes ancient Iraqi musical traditions and frames them in a modern jazz setting. The compositions are based on Iraqi Maqam melodies, each of which is believed to have a unique spiritual essence and to contain an aspect of Iraq’s history and society. These rich melodies, which often contain non-western tunings, are set to heavy grooves, free jazz-like ensemble playing, and multi-layered sound textures. Amir ElSaffar and his sextet, which includes Rudresh Mahanthappa (saxophone), Nasheet Waits (drums), Carlo DeRosa (bass), Tareq Abboushi (buzuq and percussion), and Zaafir Tawil (oud, violin and dumbek), meld styles and seamlessly cross-pollinate the languages of ancient and modern, East and West. Elsaffar’s compositions are some of the first in the history of jazz to make use of Arabic modality and its non-western tunings. 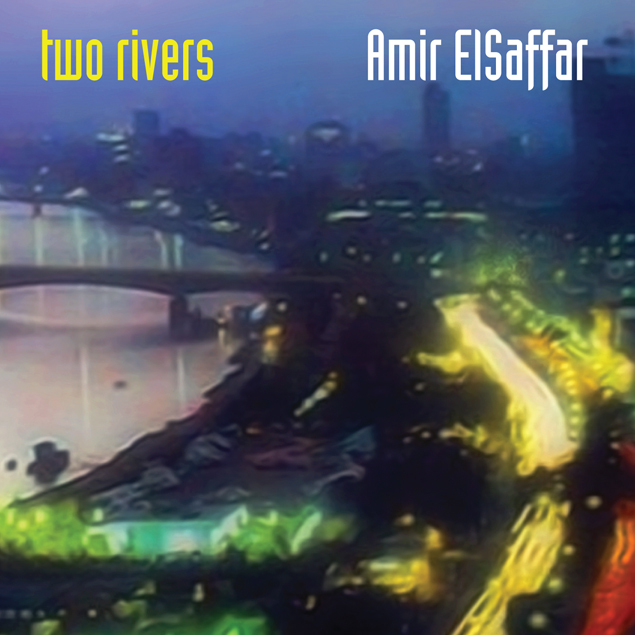 ElSaffar’s Two Rivers is a powerful emotional journey through Iraqs glorious and tragic past and present, and it cries Amir’s personal struggle, his feelings as an Iraqi-American watching his fathers homeland in turmoil and destruction.